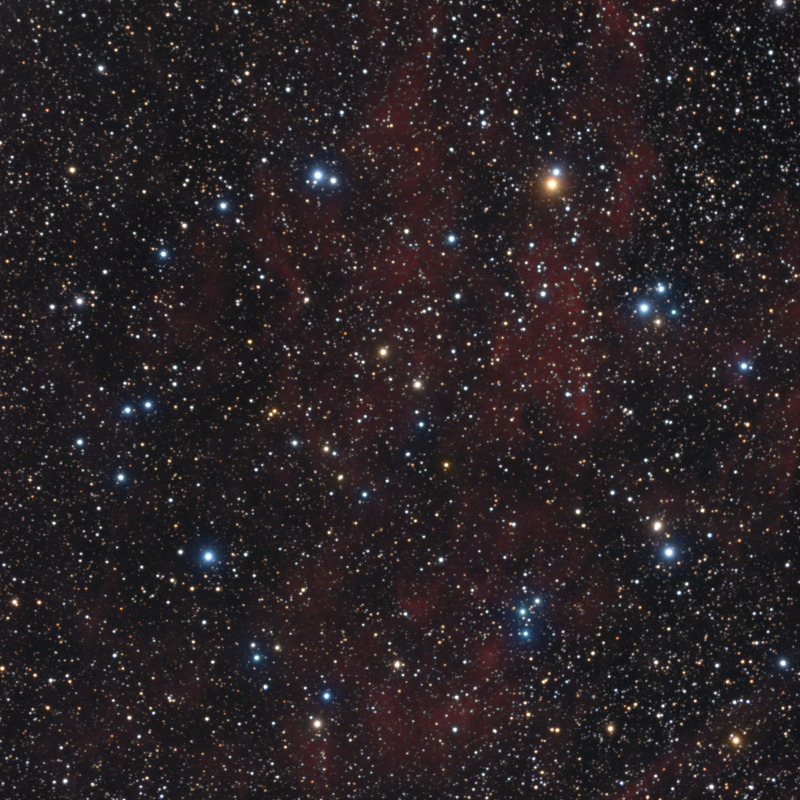 Chaple's Arc is a mini asterism described by Glenn Chaple in 1980 while looking for the colorful double star HJ 1470 in Cygnus. It is a nearly circular arrangements of mostly double stars. HJ 1470 is seen at 1 o'clock. Its star pair are mag 7.4 and 9.2 The ring has a 22 arc-minute diameter and so barely fit in my original FOV. This re shoot is with the new 0.7 focal reducer for the 9.25 Edge. Three hours Ha added. Published in December, 2018 issue of Astronomy Magazine, p. 72.